When purchasing this product, you get an activation code for the Steam Wallet for $10 (US dollars). If your account is in another currency, the amount of the card will be converted at the current exchange rate. 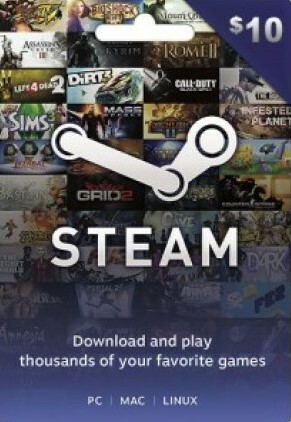 You are purchasing a Steam Wallet card $10. If your account is in a different currency, the value of the card will be converted based on the exchange rate. Steam Wallet codes do not have any country restrictions and can be redeemed worldwide. - Merchant passport since 2002, BUSINESS LEVEL (BL) 1300! - Log in to your Steam account. - Click the [Your username] ´s Account link in the upper right hand corner to be directed to your account details. - On the right hand side of your account details page there is a blue box that displays your current Wallet Balance.